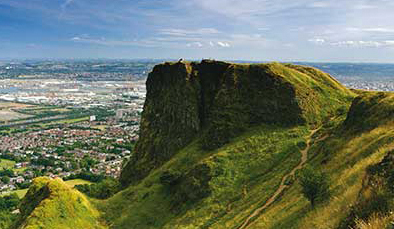 Follow Yeats’ footsteps across the country and see where one of Ireland’s greatest poets found inspiration. Watch actor Michael Gambon recite one of Yeats’ greatest poems The Song of Wandering Aengus produced to celebrate Yeats2015. William Butler Yeats was an Irish poet and one of the most significant figures of 20th Century literature. A poet and playwright, his work was greatly influenced by the heritage and politics of Ireland. Yeats was born on June 13th 1865 and in 1923 he was awarded The Nobel Prize in Literature “for his always inspired poetry, which in a highly artistic form gives expression to the spirit of a whole nation”. 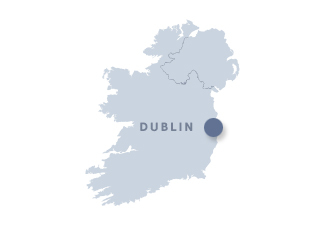 So if you’d like to learn more about literary Ireland, tour the island from Sligo to Dublin and discover the places that inspired Yeats. Who knows, maybe you’ll be moved to pen your own poem along the way? 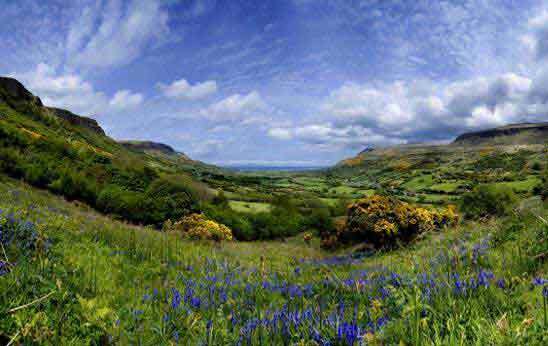 Explore Sligo, the spiritual home of the poet and see the landscape through artistic eyes. Although Yeats was born in Dublin it wasn’t long before his family relocated to Sligo. Yeats came to regard Sligo as his childhood home and penned a number of poems from inspiration he gathered from his surroundings. It was the mountains, lakes and lore of the place that moved him to write perhaps his most famous verse, The Lake Isle of Innisfree. 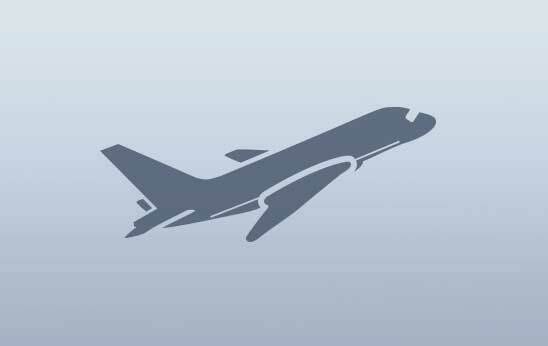 I will arise and go now, and go to Innisfree. 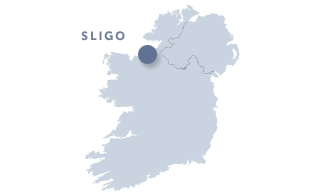 Yeats called Sligo “The Land of Heart’s Desire” and it’s the beauty of the county that filled his early poetry. 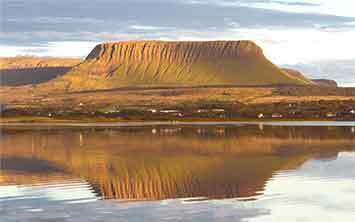 Ben Bulben is a brooding bump on Sligo’s coast and Yeats felt its presence so deeply that he wrote the poem Under Ben Bulben. 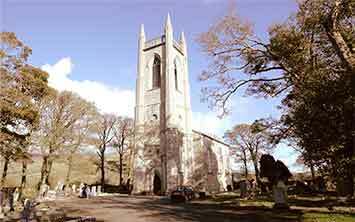 Yeats’ relationship with the mountain continues to this day as he is buried in its shadow in Drumcliff cemetery. 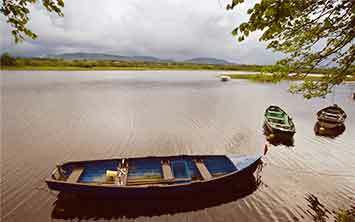 Find out about Innisfree, the uninhabited island in Sligo’s Lough Gill that inspired some of Yeats’ most famous work. 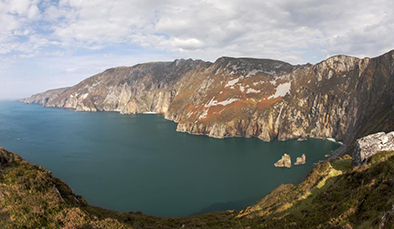 Yeats was inspired by Sligo’s dramatic Ben Bulben, see what other landmarks define the coastline along the Wild Atlantic Way. 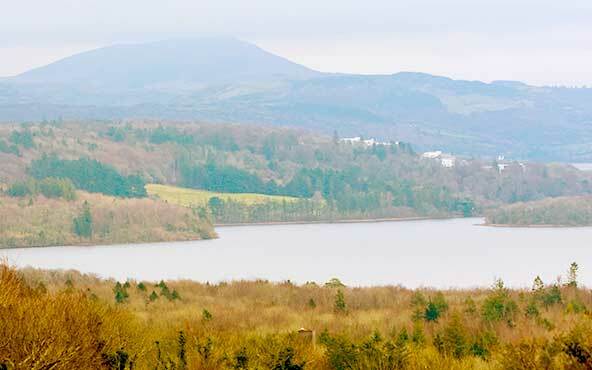 See why Yeats chose Drumcliff as his final resting place and discover more about this peaceful village at the foot of Ben Bulben. 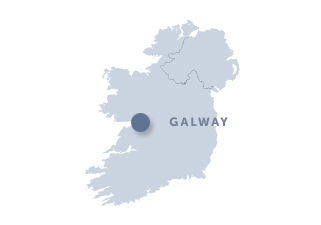 Visit Galway where Yeats built his family home and renowned reputation. We are in our Tower and I am writing poetry as I always do here, and, as always happens, it becomes love poetry before I am finished. In 1916 Yeats purchased a castle in Galway for the sum of £35. He was enchanted by the property and fell in love with its countryside location. 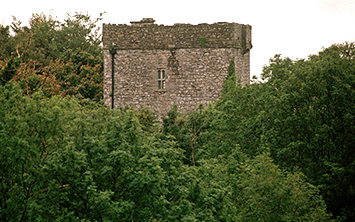 Yeats made extensive renovations to the building and renamed the castle, Thoor Ballylee. 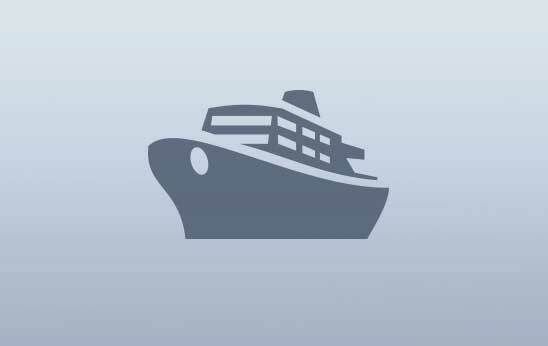 For the next 12 years it served as his summer home. The quiet, riverside setting provided Yeats with an inspirational retreat from the world, where he would write several poems including The Tower and The Winding Stair. 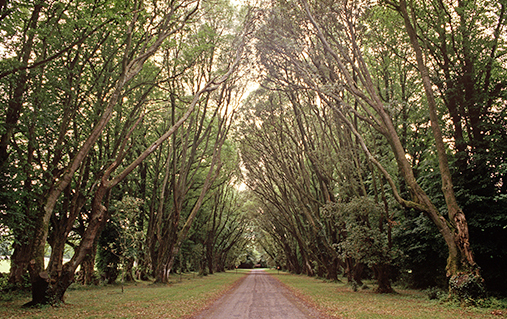 A short distance from Thoor Ballylee is Coole Park. 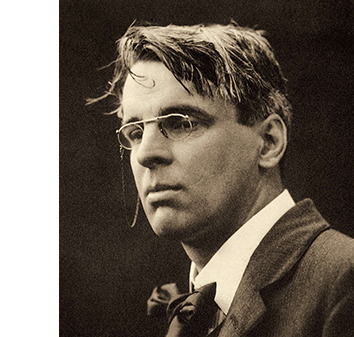 Yeats often wandered the grounds with fellow writers, seeking peace, solitude and inspiration. What the forest, lake and swans meant to Yeats is apparent in his work. 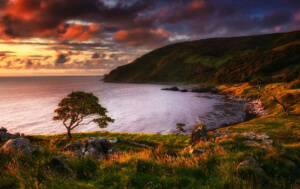 Besides intellectual stimulus, Yeats also found the peace he so much desired. Coole Park was the setting for many of his poems, including The Wild Swans at Coole and In the Seven Woods. Learn more about Thoor Ballylee on The Lady Gregory and Yeats Heritage Trail and see why the poet made it his family home. 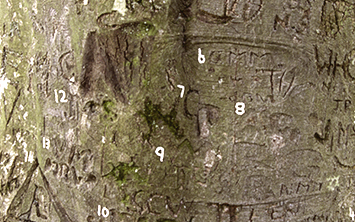 Find out about the ‘autograph tree’ in Coole Park where Yeats carved his initials amongst other great writers. 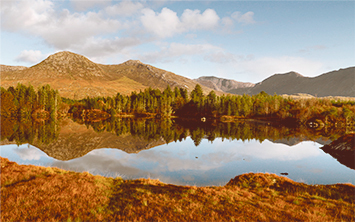 Discover the wonderful landscapes and lakes in Galway’s Connemara National Park along the Wild Atlantic Way. Take your seat and discover Yeats’ lasting legacy in Dublin’s Abbey Theatre. The key to the foundation of the Abbey Theatre was a meeting of minds between writers and actors. Not only a founder of the theatre, but a prolific playwright, many of Yeats’ plays were performed on stage, namely, Cathleen Ní Houlihan, on the opening night. Yeats himself, George Bernard Shaw and John Millington Synge were among some of the names made in the Abbey. 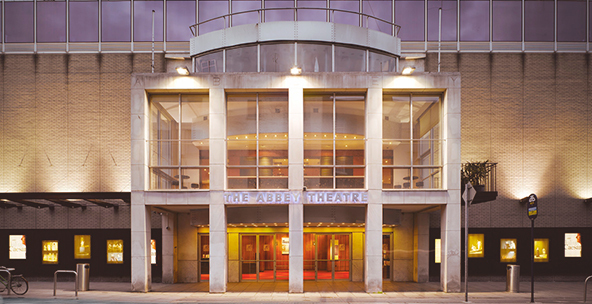 Yeats was involved in the theatre right up until his death in 1939 and today the Abbey remains firmly at the centre of Dublin’s literary life. 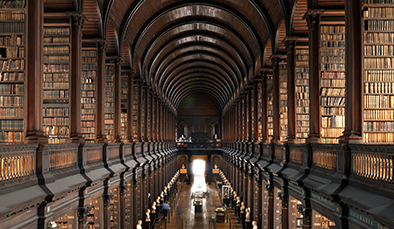 Explore Dublin’s immense literary heritage and discover Irish writers from the past 300 years in this extensive collection. 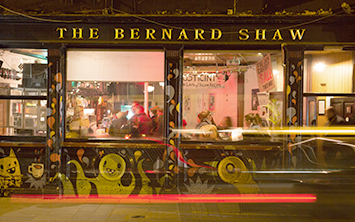 Have a pint on the city and see why Dublin’s known as one of the friendliest cities in Europe. 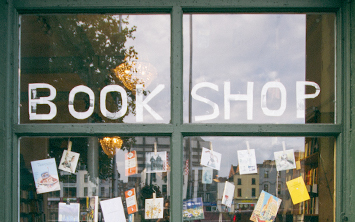 Read up on The Winding Stair – one of Dublin’s oldest independent bookshops, named after Yeats’ famous poem. 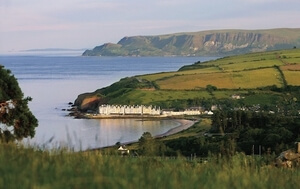 Explore the rugged beauty of Ireland’s West Coast along the Wild Atlantic Way. 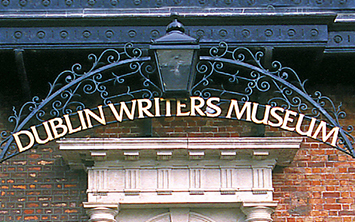 Discover the places that inspired some of Dublin’s most influential wordsmiths. 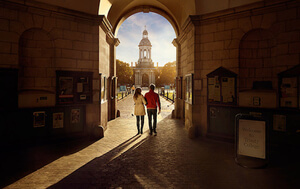 Discover some of Ireland’s most beautiful scenes and see where many Irish poems and plays are set.